petition: Remove ALL Michael Jackson Statues From Madame Tussauds NOW! Remove ALL Michael Jackson Statues From Madame Tussauds NOW! Every Madame Tussauds Wax Musuem around the world has a statue of Michael Jackson – some have branches even have multiple versions of him. Thousands of children visit Madame Tussauds every year and they should not be exposed to a statue of this man who is alleged to have sexually abused dozens of children. 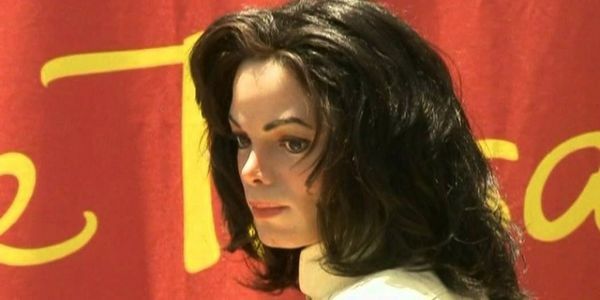 Are Madame Tussauds condoning the crimes of Michael Jackson? What if children see the statue and ask their parents: "Who is that?" What do the parents say? The 2019 documentary Leaving Neverland is a worldwide phenomenon. Two of Jackson's victims allege they were sexually abused by him when they were just 7 and 10 years old. Because of this documentary and the sickening truth it has revealed, radio stations around the world have started to remove Jackson songs from their playlists. UK fashion chain H&M has stopped selling it's Michael Jackson t-shirts and this is only the beginning. In the era of #MeToo, we cannot let pedophiles get away with their crimes anymore! Madame Tussauds has a chance here to send a global message that they support all the victims of sexual abuse and that the perpetrators must be held to account. In 1993, Michael Jackson paid one of his victims $23 million dollars so that he would not take him to court. In 2005, Michael Jackson was again accused by an underage boy that he sexually abused him. The subsequent court case found Jackson not guilty due in large part to the testimony of defence witness Wade Robson who said Jackson did not molest him. He has now bravely admitted this was a lie and he did it to protect Jackson at the time. The 2019 documentary Leaving Neverland has started a movement against Jackson – he got away with his crimes in life, now in death there must be some reckoning for the sake of the victims. This petition is for the removal of ALL versions of Michael Jackson – the child statue from the Jackson 5 as well as any and all adult versions. Please sign and share!